Financial is a very broad concept and planning is a difficult and disciplined mission. Some key categories of financial planning includes source of finances, assessment of your financial necessities, calculating the risk factor and a plan to achieve your financial goal. Investment plans, retirement plans, tax plans, Business planning, personal financial planning are some of the sub-types of financial planning. In this e-learning tutorial chapter, we will understand some of the important types of financial planning which everyone should learn and understand in their life. Here we will list out key important types of financial planning strategies and models which one has to start thinking on it. 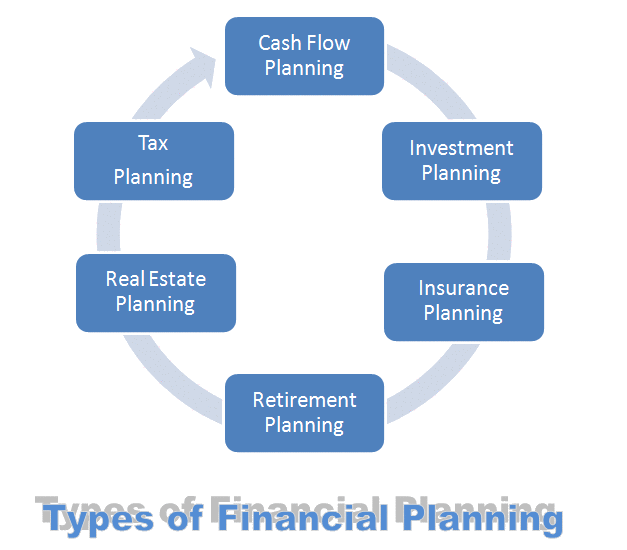 There are various different types of financial plans which one has to draft to achieve the goals of the life. Let us understand in detail below. It is one of the important types of financial planning. An individual or a company forecast its short term and long term expenses against the projected cash flow. But there are time when emergency expenses or unexpected expenses occurred. Once should plan its cash flow appropriately. Incorrect cash flow planning can lead to bankruptcy. Once should make your investment plan to achieve your goals in your life. Your investment plan is always based on your savings. Once you know your amount of savings, you can take the help of financial adviser for various investment opportunities like: fixed income, investment in stocks, gold, forex market, bonds, mutual funds, etc. You can either invest lump sum amount or you can start systematic investment plan (SIT) for a long term to fulfill the long term financial goals. Insurance coverage for a long term is very crucial type of financial planning. Under unforeseen situations, if you haven’t plan your insurance well in advance then it can spoil your other financial plans as well. Insurance planning is dependent upon individual lifestyle. You should analyze first before you buy any insurance. For Example: If you travel a lot every year then you should purchase travel insurance for coverage on unfortunate events. Likewise you can decide on health insurance, auto insurance, flood insurance, home insurance, etc. It is the event which occurs in everyone’s life. It is one of the important type of financial planning. Mostly you will hear that people set their financial goals for their retirement income due to rising inflation and rising standard of living. You will have to start your saving and investment early in your life for your retirement so that you do not have to compromise on standard of living during retirement. Proper tax planning can help you to maximize your finance saving. There are various benefits and exemptions provided by countries for the tax payers. You should take the education and draft a plan on it. At the end of the year, you can take the benefits of exemptions and minimize your taxes. Everyone should keep your knowledge up-to-date on your tax planning as a part of your financial planning strategy. Asset creation is again one of the important type of financial planning. Wealth creation or retirement planning can be achieved with real estate planning. Real estate is considered as a low risk and high return investment option. So everyone should think of draft such plan as a part of financial planning. In case of unforeseen situations in life, real estate planning turn out to be one of the best plan for your family safety. When you draw a road map of your financial goals, it is equally recommended to categorize into short and long term financial targets. General rule you can apply to categorized would be any financial goals within 0-5 year’s duration should be categorized as short term goals and anything beyond that should be considered as long term goal. 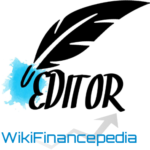 For example: If you are planning to buy a car or saving finance for your marital expenses with next 3-4 years then you should pack these goals into short term targets whereas if you are looking forward for children education plans, retirement plans for longer duration then 5 years then you should arrange these into long term goals. There is a time in everyone’s life that one has to start thinking on short-term and long-term financial goals. There are various different types of financial planning which once need to draft and implement to achieve the financial goals of the life. Hope this e-learning chapter has enlighten your knowledge on the same. We hope this would help you to better plan your finance now. Best of luck! Invest wisely, Invest safely. Wish you a Happy Investing!